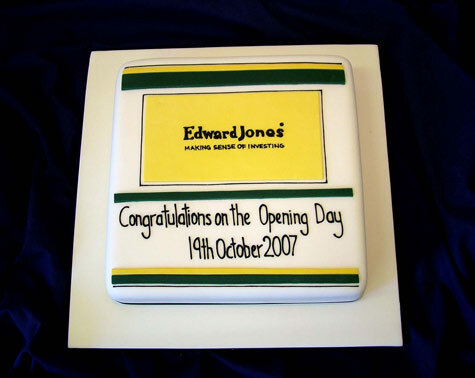 Corporate cakes don't have to be plain! Whether you're launching a new product or celebrating your sales targets, a unique cake can be designed to make your event stand out. 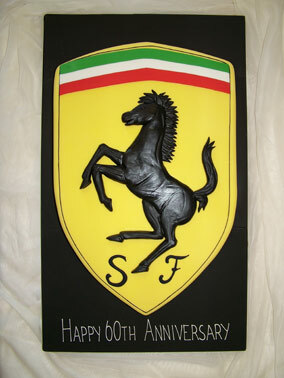 Designed to celebrate Ferarri's 60th Anniversary. This gigantic cake featured at the celebration held in Edinburgh for the Scottish leg of the UK tour. The customer brief was for something corporate yet classy that included the company logo. Colours in this design were carefully chosen to complement the colour scheme within the new branch. Tell us your ideas. We'll turn them in to a cake. Created for Oddfellows bar in Edinburgh, for their extravagant First Birthday party. 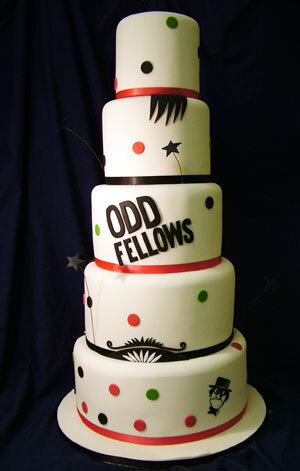 The design incorporates the Oddfellows logo including the unusual man's face you can see on the bottom tier. 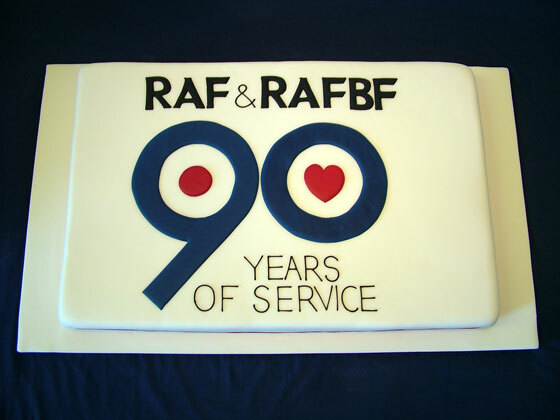 The RAF Benevolent Fund celebrated their 90th anniversary in March 2008. 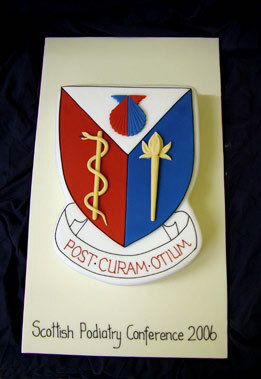 This cake was commissioned for a special event held as part of the celebrations at Edinburgh Castle.